Carnival Corporation & plc, the world’s largest leisure travel company, provides travelers around the globe with extraordinary vacations at an exceptional value. 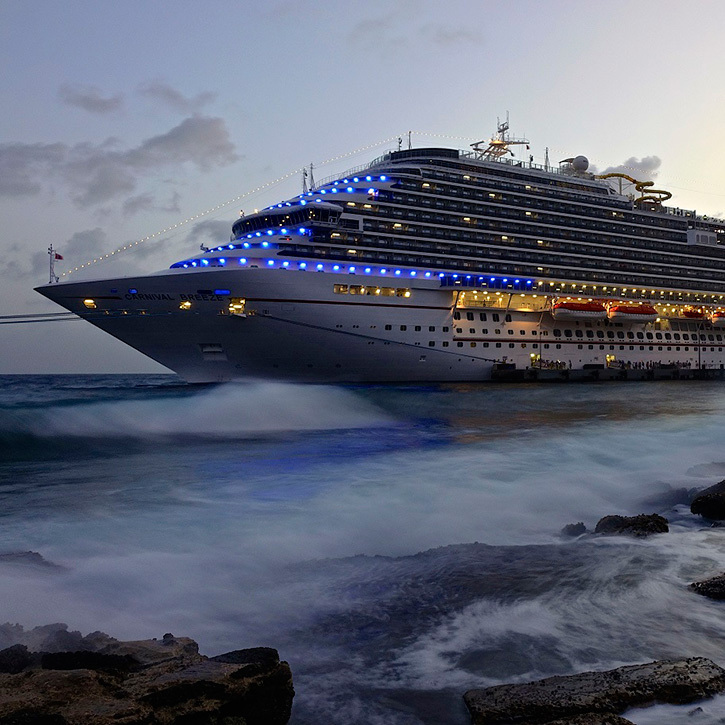 The company’s portfolio of global cruise line brands includes Carnival Cruise Line, Holland America Line, Princess Cruises and Seabourn in North America; P&O Cruises (UK) and Cunard in Southampton, England; AIDA Cruises in Rostock, Germany; Costa Cruises in Genoa, Italy; and P&O Cruises (Australia) in Sydney. Additionally, Carnival Corporation owns a tour company that complements its cruise operations: Holland America Princess Alaska Tours which operates in Alaska and the Yukon. Carnival Corporation employs over 120,000 people worldwide and its 10 cruise line brands attract nearly 11.5 million guests annually, which is about 50 percent of the global cruise market. Combining more than 225,000 daily cruise guests and 100,000 shipboard employees, more than 325,000 people are sailing aboard the Carnival Corporation fleet every single day, totaling about 85 million passenger cruise days a year. In 2016, Carnival Corporation’s revenue totaled $16.4 billion (U.S. dollars), which would put the company in the top 200 on the Fortune 500 list. Carnival Corporation is also number 311 on the FORBES Global 2000 list of the world’s largest, most powerful companies. Carnival Corporation’s 2016 earnings were over 40 percent higher than 2015 — and that was on top of a 40 percent growth in 2014. Headquartered in Miami, Florida, and London, England, Carnival Corporation’s stock is dually listed on both the New York Stock Exchange and London Stock Exchange under the symbol CCL, and is the only group in the world to be included in both the S&P 500 and the FTSE 100 indices. The company established its Asia headquarters in Singapore in 2013 and now operates a multitude of offices across Asia, including locations in China.